The kitchen drawer containing the measuring cups and spoons is often one of the most cluttered. In an effort to keep measuring cups organized, they are typically stacked. However, the process of stacking and unstacking can be tedious. 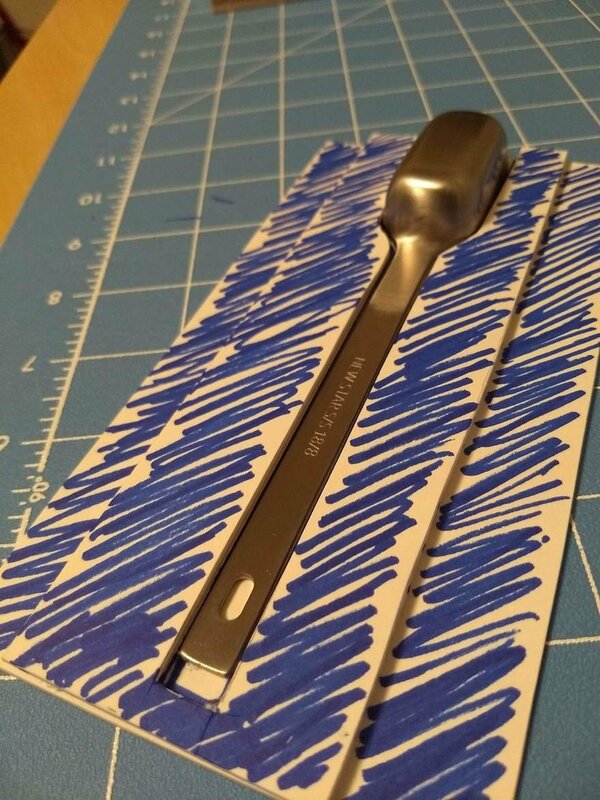 Measuring spoons are even more frustrating to deal with. 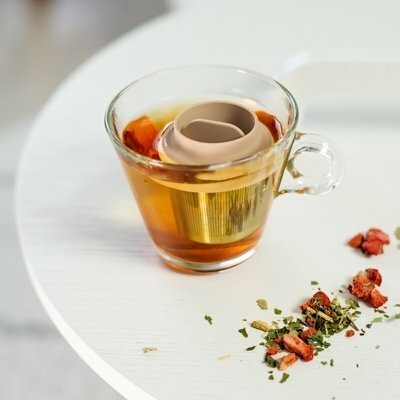 Although the spoons often come attached together with a ring, using them while connected is incredibly clumsy and clipping them on and off the ring is, again, tedious. 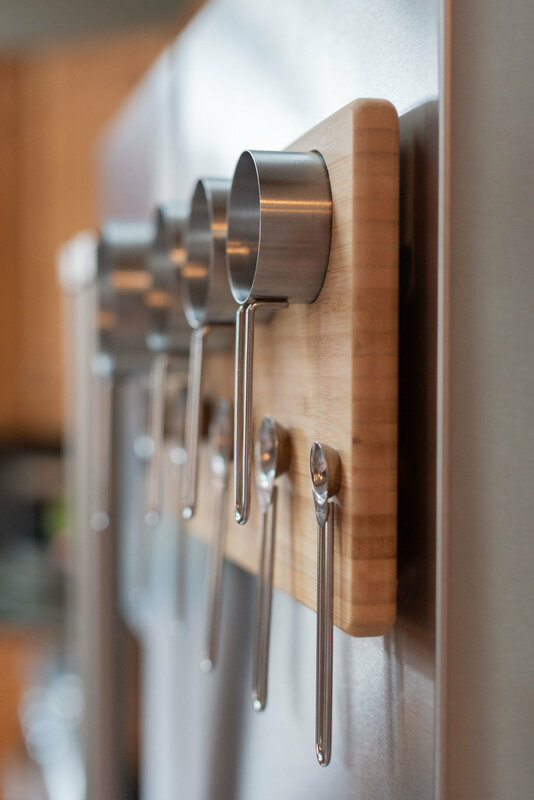 Snapboard was designed to be the most foolproof and simple method to organize measuring cups and spoons. Experimenting with layouts and various attachment methods. Exploring slots, into which measuring spoons would be inserted. The initial idea for Snapboard was intentionally minimal. 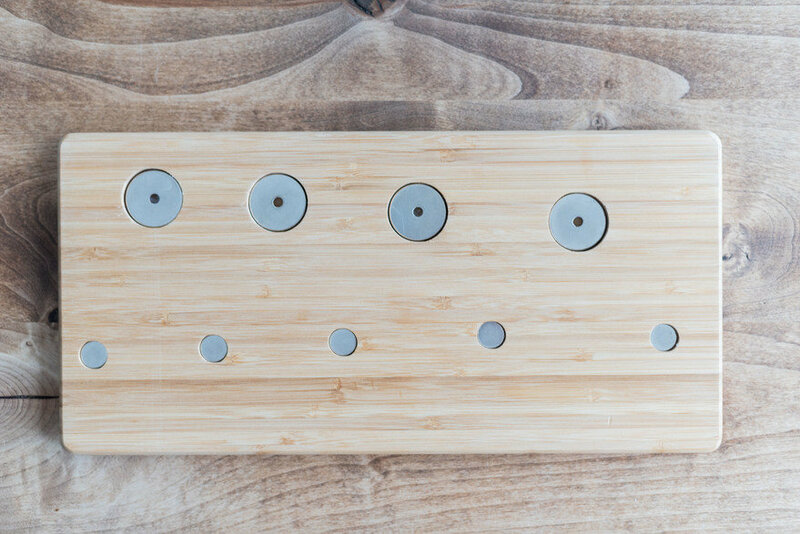 A clean, wooden board with embedded magnets. 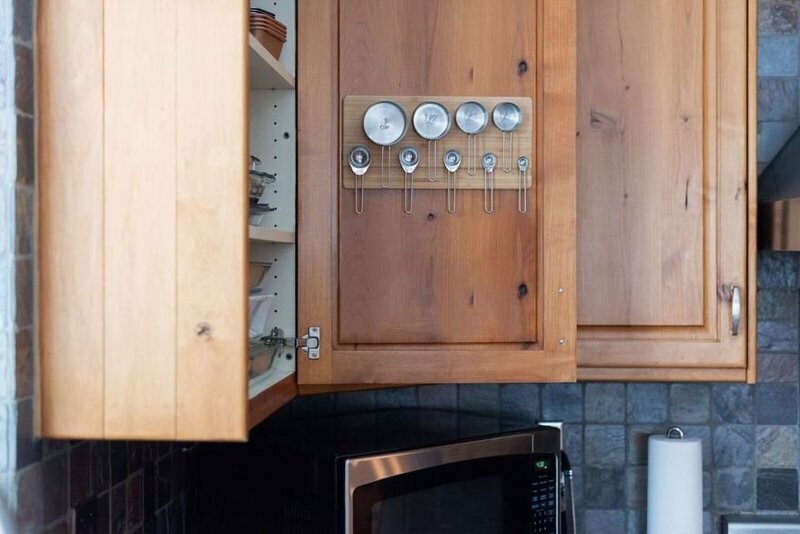 The board would mount to a wall in the kitchen and measuring implements would stick to the board. As soon as the design team began trying to realize this minimalist vision, they encountered a road block. 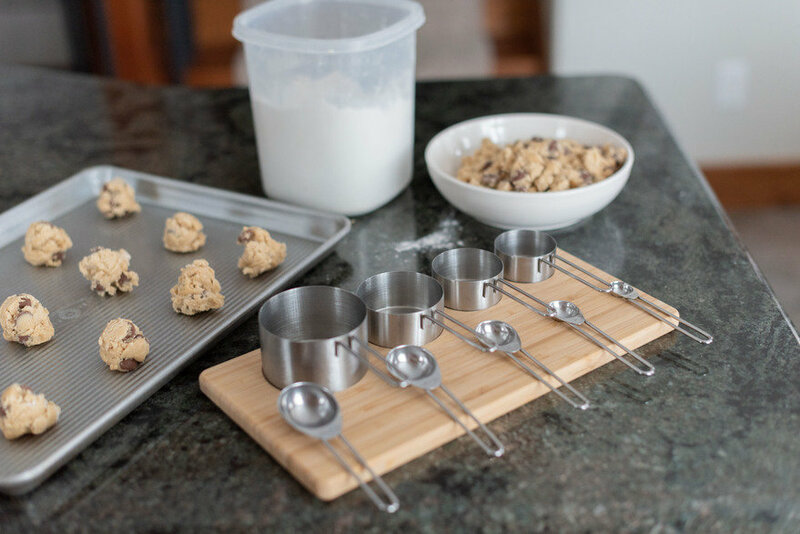 Most measuring cups and spoons are made from stainless steel, which offers excellent corrosion resistance but is generally not magnetic. In order to work, Snapboard needed to be paired with a set of measuring implements that was sufficiently ferrous. There are a wide variety of types of stainless steel, with varying properties. 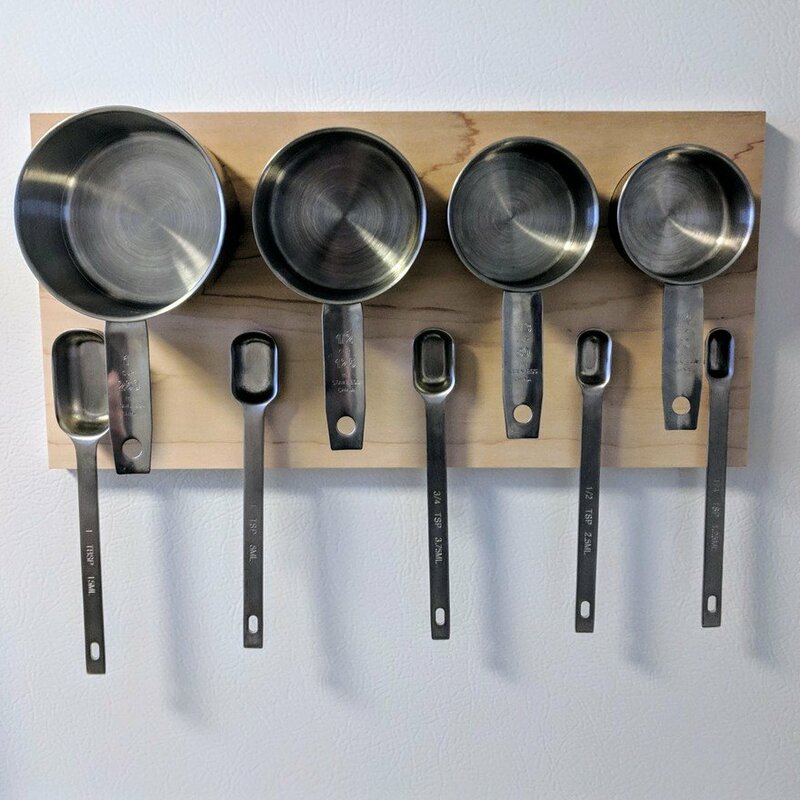 Most measuring cups and spoons are made from either 304 or 340 stainless, which offer some of the best corrosion resistance but are almost entirely impervious to magnets. While researching stainless steel and attempting to source appropriate measuring cups, the team explored non-magnetic options for Snapboard. Ideas included hooks, slots for handles and springy metal jaws. 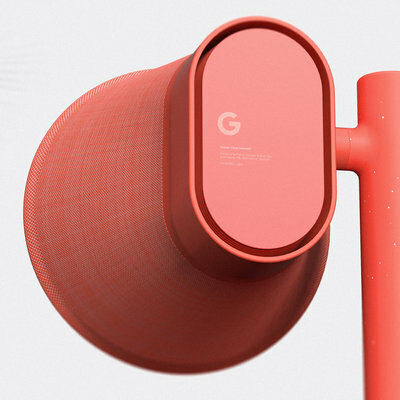 The desire was for the user experience to be ridiculously easy - not to waste moments carefully placing a measuring spoon on a hook or in a slot. 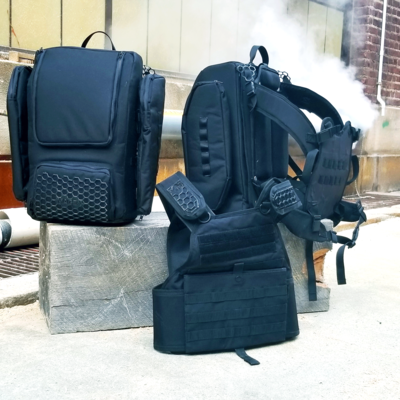 Fortunately, the team discovered that a 400-series stainless steel would be a perfect fit for a magnetic solution, offering an excellent balance of corrosion resistance and ferrous content. After brief testing with a variety of magnets, prototyping resumed. 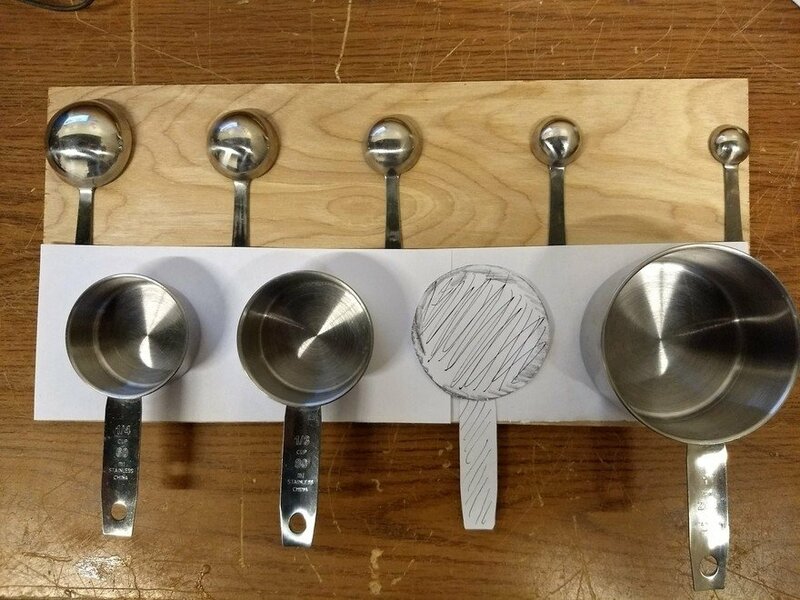 To ensure that the measuring cups and spoons could be placed neatly and accurately, shallow pockets were cut into the board. Pockets on the back of the board house the magnets. Those magnets also allow Snapboard to be mounted to a refrigerator (or other appliance) without any additional hardware. 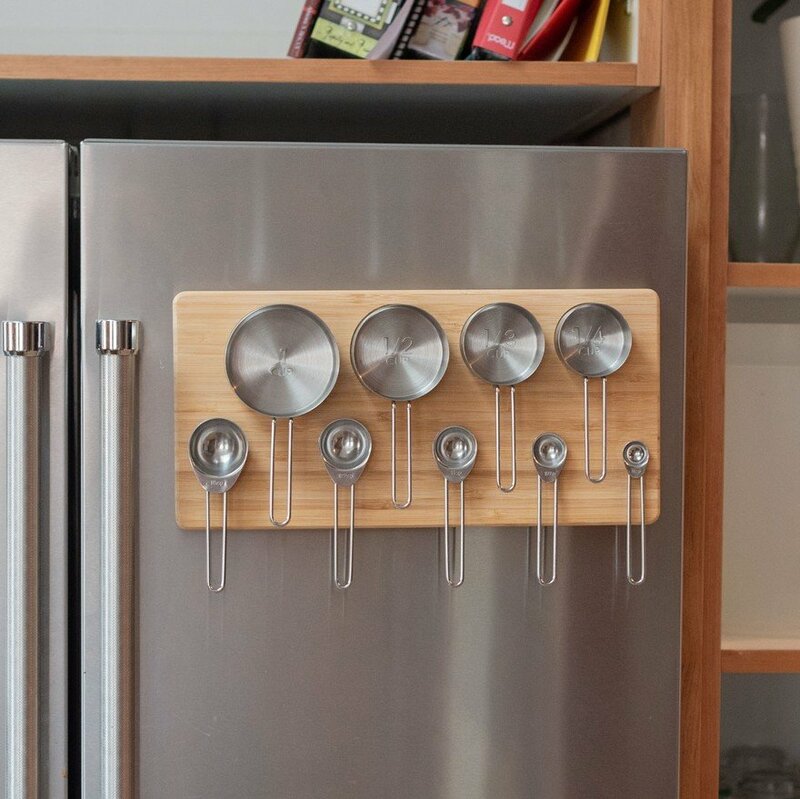 The magnets hold onto both the refrigerator and the measuring implements firmly enough to keep them in place when the door is opened or closed. 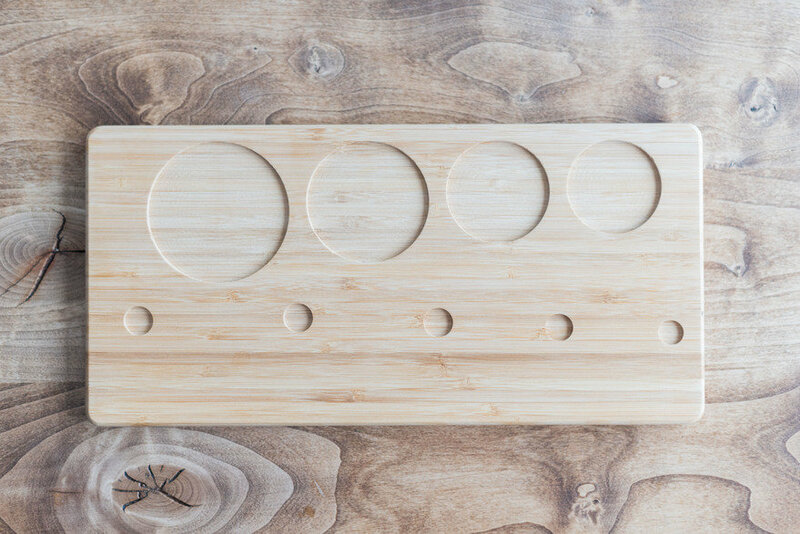 The board can also be easily placed on a wall, on the outside or inside of a cupboard, or in a drawer. I just completed this project for my wife a few weeks ago. My board doesn't have the recessed areas on the face though. I may have to steal that idea, and revise my board.